Tactically focused RPA projects may improve quality and decrease activity cycle times by assisting or removing labor in or from activities. Cost reduction by eliminating head count is cited as a benefit of RPA; however, if employees are moved to other tasks, this area of cost reduction is not always achieved as planned. 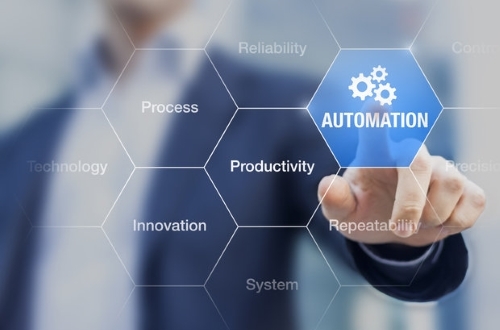 The proliferation of automation and artificial intelligence tools and options continues to grow, which introduces a steep learning curve and general confusion around the term “RPA,” along with the benefits it presents. One tool is unlikely to solve every unautomated activity in your organization. Many organizations rush to select RPA software and start a project. Learning about RPA suitability and functionality should be done in conjunction with building a broader enterprise automation roadmap (EAR). The EAR should highlight all of the places where the manual rekeying and consolidation of data take place, and whether this can be automated with commercial off-the-shelf (COTS) software, if the process needs to include people, or if the process requires a different combination of solutions . One tool is unlikely to solve every unautomated activity in your organization, and multiple types of machine learning, artificial intelligence and automation tools will become available. To avoid people failing to solve problems — which the RPA tools were never capable of fixing — or RPA being used less than optimally, or if better tools exist for the issue, then you need both a good understanding of what RPA tools can actually do, as outlined in our definition, and a view of the options to solve this issue. All of this should be collated in an EAR. Start by circulating a clear list of the benefits and limitations of RPA to business unit leaders (see “Use Cases for Robotic Process Automation: Providing a Team of ‘Virtual Workers'” ) and to anyone proposing to use RPA. Much of the disappointment with RPA stems from applying the tools in less than optimal ways; putting barriers between the tools and the data; applying it to the wrong processes; or using RPA to fix bad practices, which should and could have been dealt with in other ways, such as buying a dedicated piece of software or service, or even eliminating the process. Identify and quantify the opportunities to use RPA for revenue-generating activities in addition to cost-saving or compliance activities. Don’t just focus RPA on reducing labor costs. Carefully set expectations of what the tools can do and how your organization can use them to support digital transformation as part of an automation strategy. Start with rule-based, standardized processes that cross multiple systems, which need a nonintrusive approach to automation. Evaluate RPA opportunities where you have people acting as “swivel chair integration” — rekeying data between systems — and where work is being performed by humans that involves structured, digitalized data processed by predefined rules. This analysis forms the basis for your enterprise automation roadmap. Identify alternative existing tools or services, which already have a significant proportion of the functionality required at a suitable price point; evaluate these solutions in parallel with RPA, or as a hybrid solution; and look to future artificial-intelligence-based options.